This is one of the most legendary rock performances of all time. This is probably the actual performance that put Santana on the map. 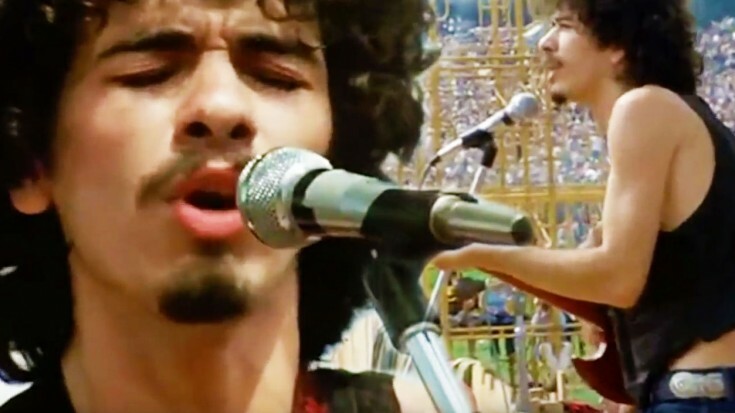 Lo and behold, one of the most iconic performances of Santana EVER….“Evil Ways” played at Woodstock ’69. Wow, just look how young he was. This brings back of memories of good times, and one of the biggest rock n’ roll events in history. This song encompasses a jazzy fusion, latin rock flavor which you can’t get down to, especially if you’re jamming out. The actually meaning of the song is pretty obvious. It’s a dude telling his girlfriend that she has to change. She’s hanging out with her friends instead of him. When he gets home, no one is home. The pots are cold, probably meaning there is no dinner ready and etc. Santana was pretty much thrown on stage at this point. One of the directors had an open spot that needed to be filled asap, pretty much told Santana to get ready because he’s going on stage in about 10 minutes. The crazy thing is, that Santana was high as a kite!!! He recalls how he felt that the neck of the guitar was a snake moving around, while he was trying to hold it together. I guess that’s what acid will do to you. Lord knows you got to change… baby.